Are you bored by the conventional ho-hum design of a traditional wooden knife block? 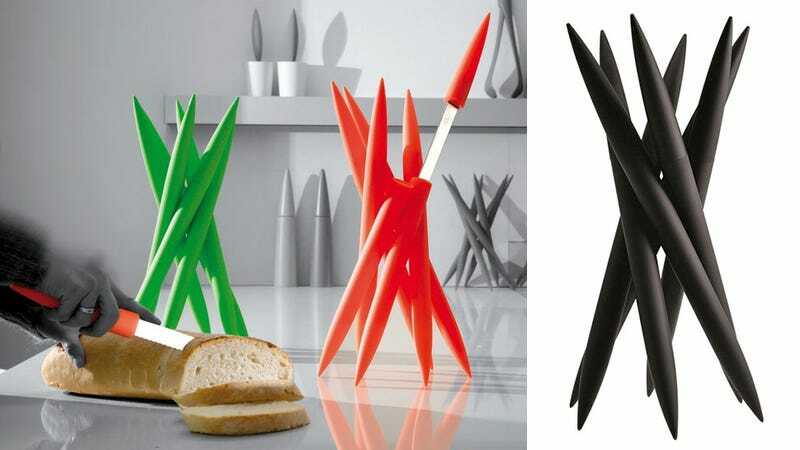 If you like everything on your kitchen counter to be a conversation piece, you can't go wrong with this Spicy Magnum Knife Set, featuring six entwined knife holders that look like they're all holding each other up. When Will We Get the Game Boy Classic Edition?